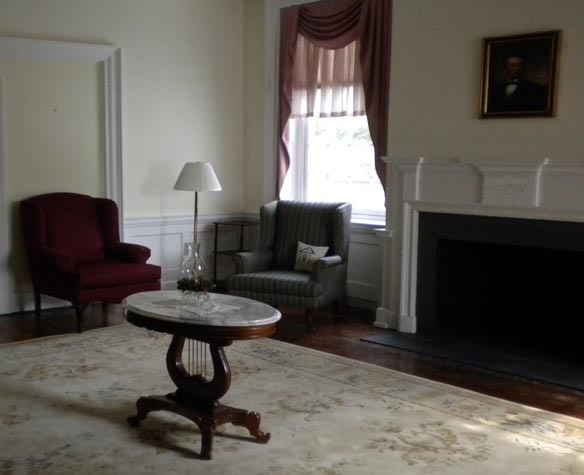 About West Hill Situated on 65 acres in Burlington Township New Jersey, West Hill was built between 1797 and 1799 and is one of the few surviving examples of a Federal style home existent in Burlington County. 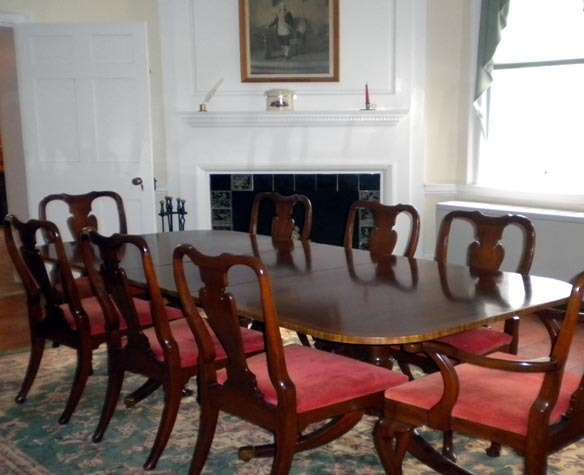 West Hill is a historic manor house that was built between May 1797 and July 1799 for Samuel and Susanna Emlen. Susanna Dillwyn was born on March 31, 1769, near Burlington, NJ. She was raised by her aunt, Susanna Dillwyn Cox, at Oxmead Manor in Burlington, when her father, William Dillwyn, moved to London after the death of her mother. In 1795, she married Samuel Emlen, Jr., a prominent and wealthy Quaker merchant from Philadelphia, and moved into a home there. That same year they purchased 103 acres of land adjacent to Oxmead. The outbreak of yellow fever in Philadelphia prompted them to begin building the Burlington home, West Hill, in 1797. They moved into the Manor on July 31, 1799. In the middle of December, 1813, Susanna discovered a tumor in her left breast, irregularly shaped, about the size of a partridge egg. Terrorized of surgery, she optioned for other procedures. First, Susanna tried “Logan’s Salve”. Next she settled on “a mild diet, with little exercise”. In London, Dr. Pearson tried pressure by binding her with right bandages. In late April, 1814, Dr. Philip Syng Physick, Susanna’s brother-in-law, was consulted. He confined her to bed for three weeks, in nearly one posture on at first a very low diet, but she “bore it poorly, being often affected with faintness”. She was then given milk, weak chocolate, and the juice of oysters and clams. Susanna was bled twice with a lancet, three times with leeches, and had a blister, and then a mercurial plaster on the tumor. On the evening of June 3, 1814, the mastectomy, without anaestheia, was performed by Dr. John Syng Dorsey, who the year previous had published the first American textbook on surgery. Four other doctors were in attendance: Dr. Physick, who was known as the “Father of American Surgery”; Dr. Casper Wistar, who published the first American textbook on anatomy, Dr. Joseph Parrish, and Dr. Robert Tucker. 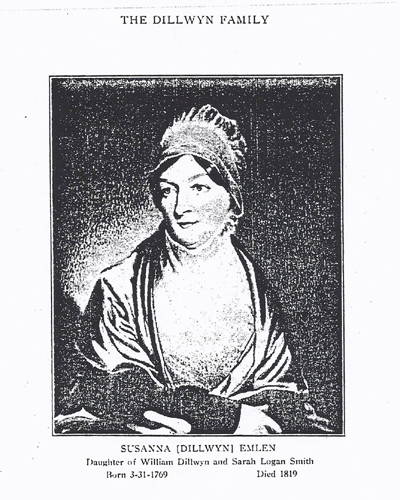 Susanna Emlen died November 24, 1819, five years after her surgery, making her one of the earliest breast cancer survivors in American. Breast cancer surgery was more common historically than we realize, however, it is firsthand narratives, such as those in Susanna Emlen’s letters to her father, that are so rare. Samuel Emlen Jr.,was born in 1766 to one of the most noted ministers among early Philadelphia Quakers. Samuel’s religious beliefs regarding education and anti-slavery continued until his death in 1837. In his will, Samuel left $20,000 to provide for the foundation of the Emlen Institute for the Benefit of Children of African and Indian Descent. First organized in Carthagena, Ohio, it soon moved to Warminster Township in Bucks County, Pennsylvania. This foundation was later vested in Cheyney State University, in Chester County, Pennsylvania, oldest of the historically Black Colleges and Universities in America. © Copyright West Hill 2015. All Rights Reserved.